Bringing over 20 years in tourism and national park experience at senior and executive levels in Queensland Government, Anne brings extensive experience in business development, policy and industry reform to the role as Chair of the East Coast Tourism Board. Anne has a Masters in Business and Technology from the University of New South Wales and is currently Vice-President Business Strategy and Marketing for a small US-based technology company specialising in customer-facing technology for the outdoor and recreation industry in the North American and Asia Pacific markets.Anne feels privileged to be part of tourism on the East Coast and has a priority to get involved with industry and better understand the opportunities, challenges and aspirations for tourism on the East Coast. The collective of East Coast Destination Action Plans provide a clear vision and Anne will be leading the Board in working with industry to realise these plans over the short and longer term. Ensuring we remain true to the unique experience that can only be found on the East Coast of Tasmania must be front and centre of this work. In addition to Chair of the East Coast Tourism Board, Anne represents and advocates for East Coast tourism industry interests as a Director on the Tourism Industry Council Tasmania (TICT) Board. Anne is married to Jason and together they have four children, three at university in Queensland and one at school in Hobart. While having moved from Queensland in recent years, Anne has settled right into Tassie life and when not helping with her daughter’s soccer team, she can usually be found struggling with her Bikram Yoga practice. 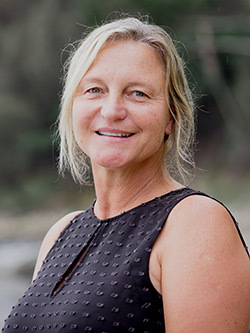 Alison has over 25 years experience in the Tasmanian tourism industry working her way through the ranks from adventure tour guide to establishing and managing their family-run ecotourism business, Freycinet Adventures for over 15 years. After moving from the East Coast to Hobart with their family, Alison now manages Sullivans Cove Apartments. 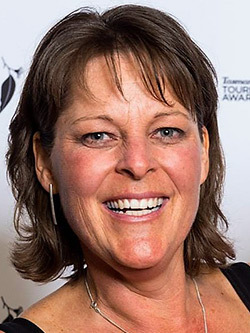 Alison has volunteered on the Board of East Coast Tourism since its establishment in 2012 and continues to be a passionate advocate for regional tourism. Alison has always taken an active role in the industry participating in numerous Boards and committees including the Tourism Tasmania Board (2006-2012) and volunteering as a Tourism Awards judge at both a state and national level.Alison is passionate about the importance of developing and delivering an engaging, authentic and sustainable experience to visitors. Stuart comes to the board of East Coast Tourism with over 20 years experience in Tasmania’s creative industries, having worked across the state with several arts organisations including Ten Days on the Island, Tasmania Performs, Tasmanian Regional Arts, Mudlark Theatre, Artology, UTAS and Theatre North. In 2008 he and his wife, Jane, embarked on a research residency to Newfoundland, studying the impact of the cultural economy in regional and remote communities. With a long standing passion for regional Tasmania, at the end of 2013, he was appointed General Manager of Spring Bay Mill, where he has driven its cultural agenda. Stuart now lives in Orford with his wife, Jane and their two young’uns, Theo and Sadie. He loves the East Coast and is proud to be a new member of its vibrant community. Julia has been a co-owner of Freycinet Marine Farm for the past twelve years and upon its transition to a private company became a director. This is an active managerial role in the business that requires daily interaction with ground level staff and her section manager. 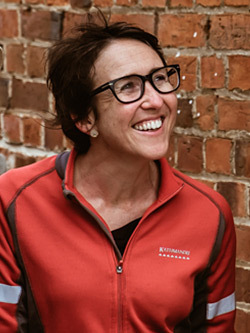 Earlier on in Julia’s tourism career she held a variety of positions throughout the adventure end of the spectrum, ranging from cave guide, river guide, driving backpacker buses throughout tropical northern Queensland, and hosting multi-day sea kayak expeditions through the Great Barrier Reef. Glenn McGuinness is the Break O’Day Council representative on the board. Theoretically Glenn is retired after 31 years of owning and operating real estate businesses. This started on the North West Coast with offices in Wynyard and Burnie and was followed by a move to St Helens where he opened a new franchise in 1995. Selling this in 2010, Glenn stayed on as a senior consultant for 4 more years. 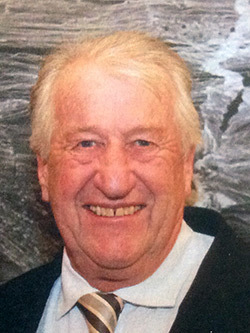 Prior to his real estate involvement, Glenn was engaged in the mining industry on the West Coast of Tasmania. Apart from Council roles he is a life member of the St Helens and Districts Chamber of Commerce and involved in the Bay of Fires Winter Arts Festival. Just to make life interesting, Glenn is also in his second year of an arts degree majoring in Politics, one of his passions. Glenn is vitally interested in seeing the East Coast reach it’s true tourism potential. 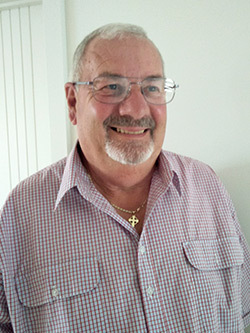 Kyle’s career started in the Royal Australian Air Force in the mid 80’s and from there moved into the travel industry. 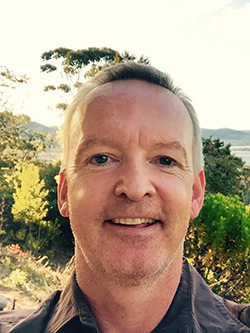 For the past twenty eight years Kyle held managerial positions with Qantas, Qantas Holidays, Fiji Airways, Globus/Cosmos, Avalon Waterways, Tempo Holidays, Bentours, Hurtigruten and Explore Worldwide. Kyle is currently the State Manger for a Mediterranean Wholesale Travel and Cruise Company, Sun Island Tours. In 2008 he made the move to Tasmania and purchased beachside accommodation in Bicheno, Sandpiper Ocean Cottages. In the 9 years he owned Sandpiper he and his partner built the property into Tasmania’s most award winning Standard Accommodation and were admitted into the Hall of Fame. They also won Silver for Best Standard Accommodation at the National Awards. Kyle has served on the Swansea Bicheno Bendigo Bank Board and has been the Chair of Marketing Sub-committee for the East Coast Tourism Board for 4 years. David Logie was trained in the casino business in his native Scotland. In 1973 he came to Tasmania to work at the newly opened Wrest Point. David worked there from 1973 to 1979 becoming the Day Manager. In 1979 Australia’s second Casino, the Don Hotel Casino in Darwin, was opened and David was the original Casino Assistant Manager and from 1980-1982 was Casino Manager. In 1982, Country Club Casino in northern Tasmania was opened and David was Casino Manager there from the opening in 1982 until 1992 when he was appointed General Manager (Casino and Hotel) until he retired in 2002. During his time in northern Tasmania, David was a Board Member of Gateway Tasmania and a Board Member of Tasmanian Convention Bureau. While in Launceston David was Chairman of Launceston Workplace Learning and a Board Member of Youth Futures. David and his wife Jenny moved to Bicheno in 2003 and has held positions including Chairman of the Bicheno Bowls and RSL Club and seven years as President of the Bicheno Golf Club. Also during this time he was a Board Member of the Tasmanian Licensing Board. David and Jenny continue to live in Bicheno. They have children and grandchildren in Norway and Scotland as well as Victoria and Queensland. Since graduating from the University of Tasmania in 1994, Angela has worked predominantly as a marketing and research consultant based in Melbourne, with some time spent working in South East Asia. Her last marketing role was as Consumer Insights Manager for Carlton United Breweries (CUB) in Melbourne. She grew up on the East Coast of Tasmania and returned to live and work on the East Coast 5 years ago. 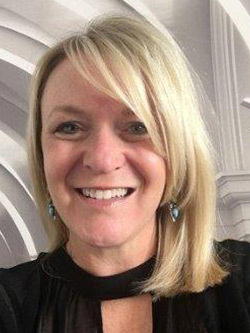 Since returning, Angela has been working as the Executive Officer with Glamorgan Spring Bay Council, and at the same time along with her family developing and managing a small tourism business known as Twamley Farm – a working farm offering boutique accommodation and bespoke events. Her interest in the tourism industry and the opportunities for farm tourism in particular, began while still at university here in Tasmania. Her Sociology Honours thesis was titled “Packaged Authenticity” and examined emerging social trends related to nature and culture based tourism and the implications for Tasmania’s future in tourism. This had a particular focus on opportunities for farm and agri-tourism. So here she is back in Tasmania, 20 plus years later still passionate about the industry and the community in which she lives on the East Coast. She has been a member of the East Coast Tourism Board since 2016. Chris joined the Board in March 2015, representing the Parks and Wildlife Service (PWS) as a member of the PWS executive and Regional Manager North. 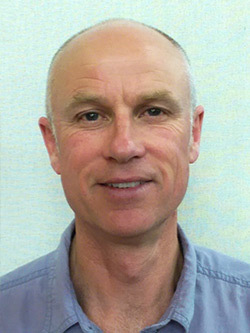 With a background of over 30 years in forestry and park management, including extensive experience in the areas of visitor center management, interpretation and nature based tourism in NSW and Tasmania, Chris is uniquely placed to advise the board on opportunities for nature based tourism activities and associated issues. In his time in Tasmania he has seen an exponential increase in visitation and has been an integral part of the transition within the Parks and Wildlife Service to make the necessary adjustments to policy and management in order to be able to accommodate the changing demands for use of Tasmania’s exceptional natural assets. He is passionate about meaningful engagement with the Aboriginal community and the sustainable use of Tasmania’s world renowned National Parks and reserves. 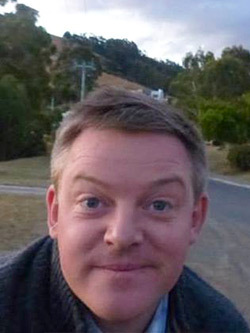 Chris is also an advisor to the Northern Tasmanian Tourism board.